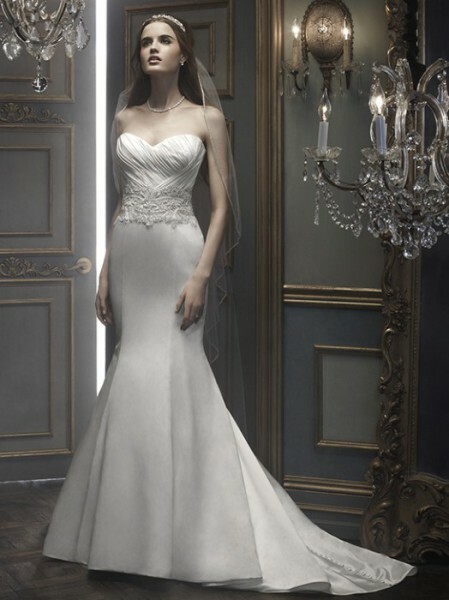 Beadwork and embroidery at the natural waist are the focus of this trumpet silhouette. The bodice has tightly tucked Duchess Silk ruching and a sweetheart neckline. Silk covered buttons continue the full length of the gown.